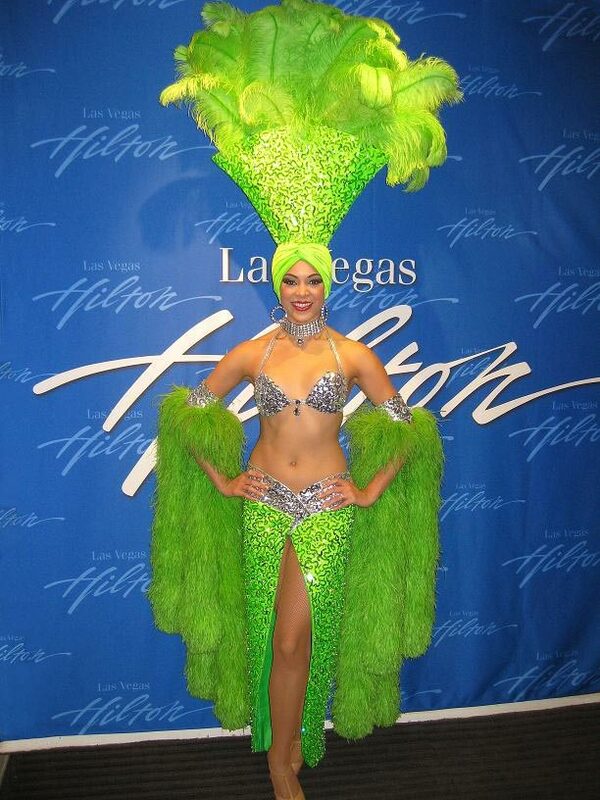 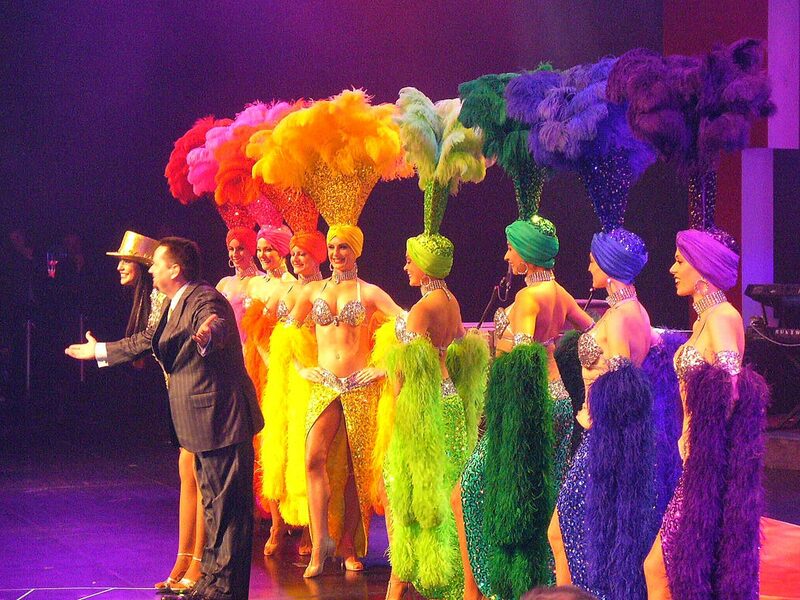 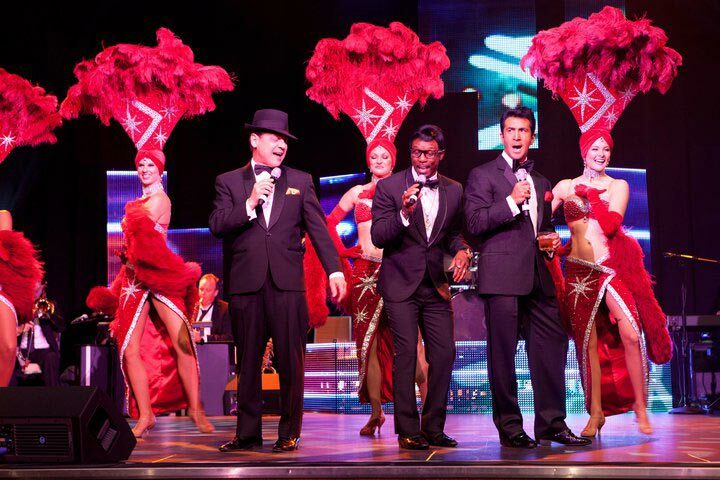 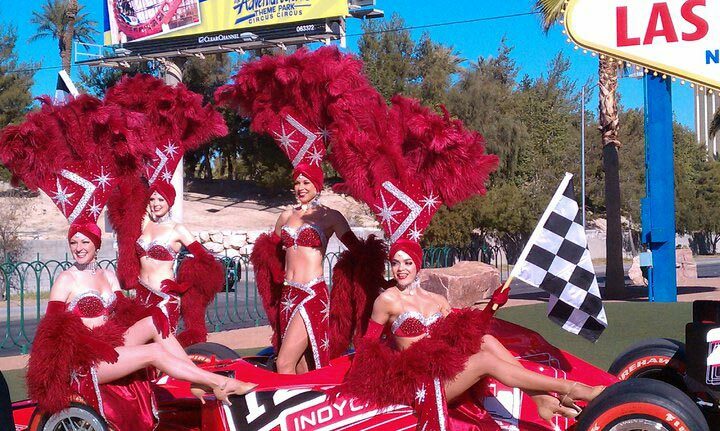 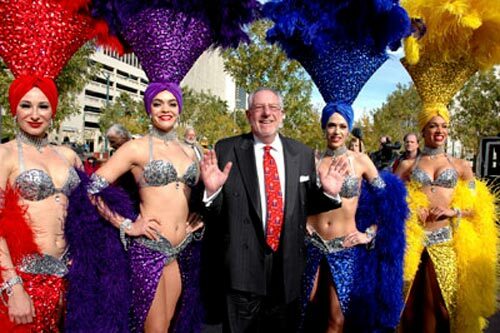 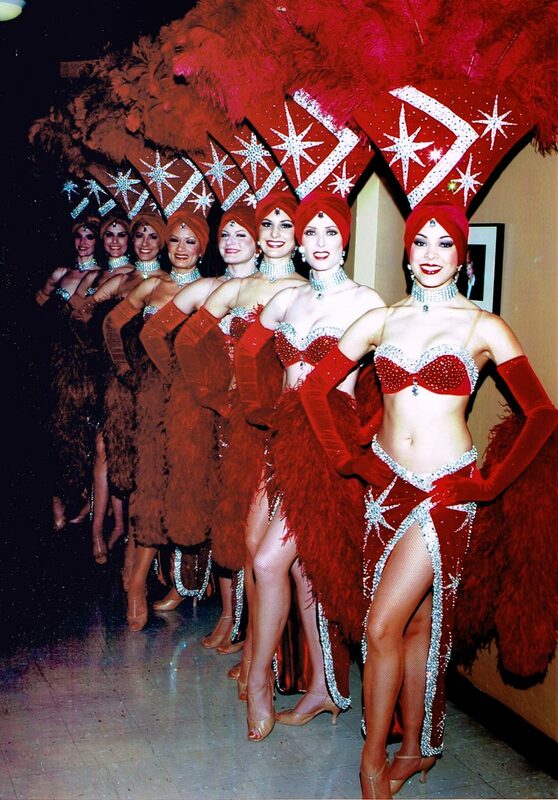 When the Las Vegas Convention and Visitors Authority books showgirls to promote Las Vegas throughout the world, they call always entertaining! 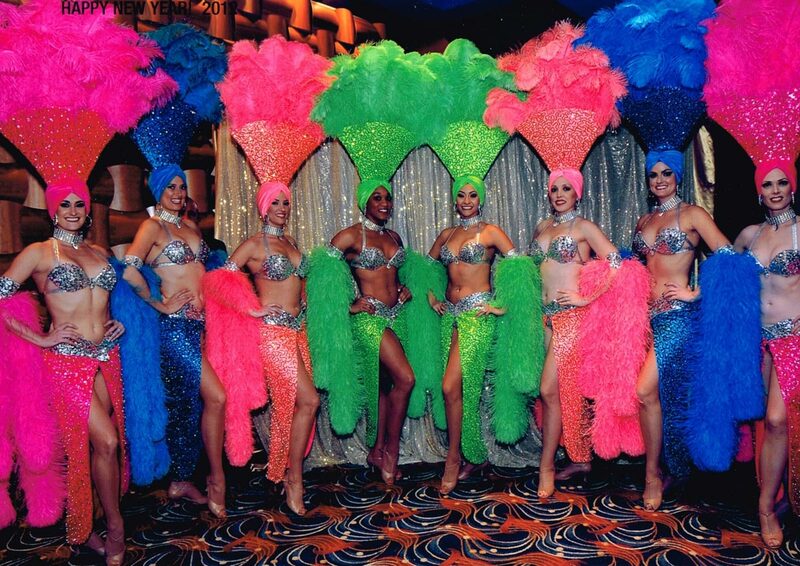 We believe it is because of our absolute attention to detail, the lovely, well-spoken talent that we book and our gorgeous costumes! 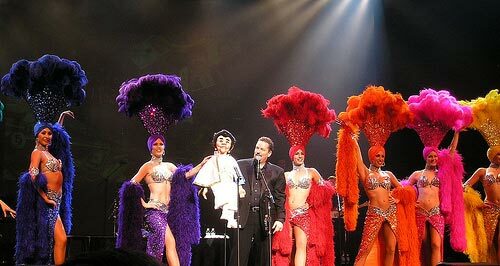 Here are some shots that have been taken at various appearances. 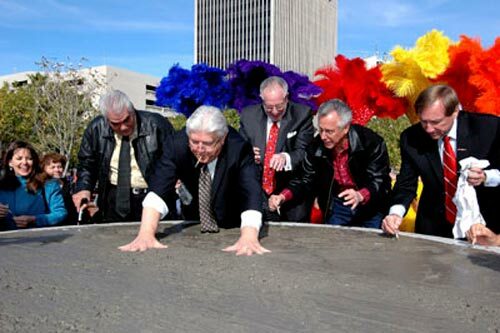 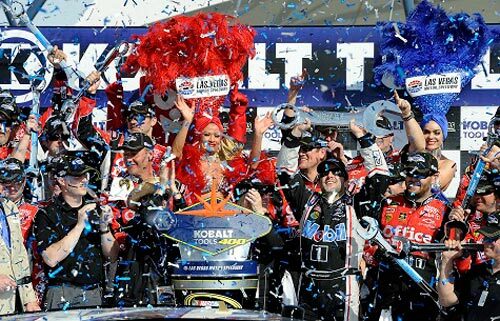 Our talent often gets booked to enhance the photo opportunities at these very special and sometimes historic happenings! 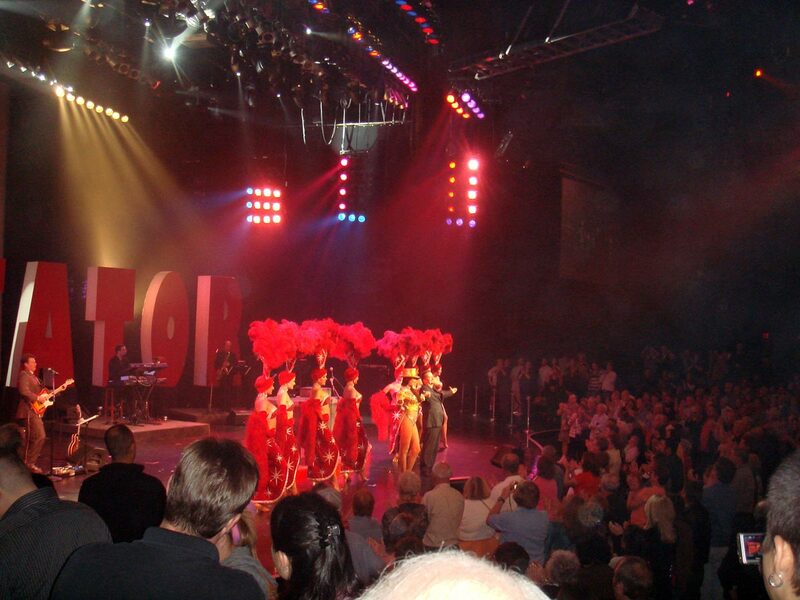 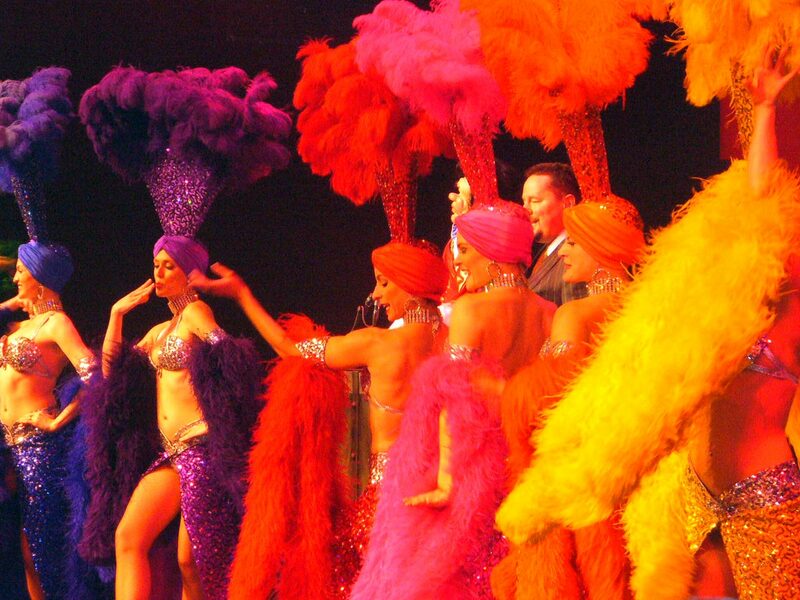 In the photos below, you will see our Viva Las Vegas Showgirls (individual multi-colors), our Retro Rouge Showgirls (rich red velvet with Vegas stars all over), our Gold Tuxedo Showgirls, and our Flame Showgirls. 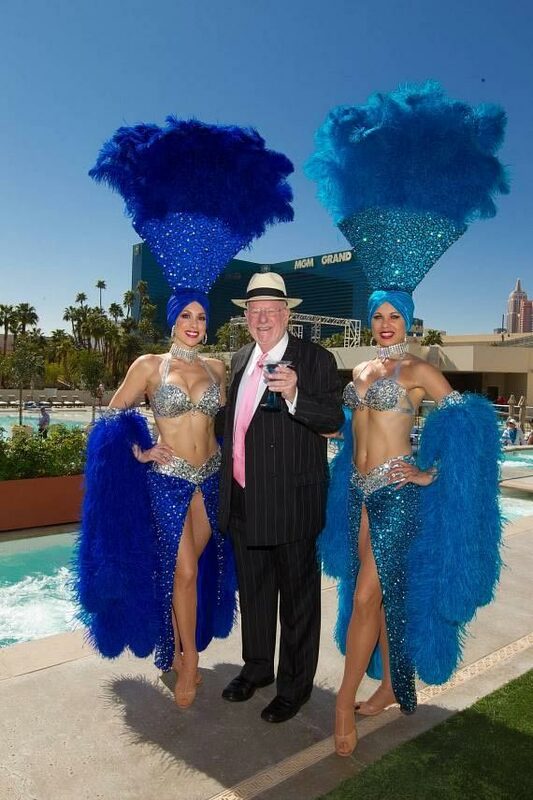 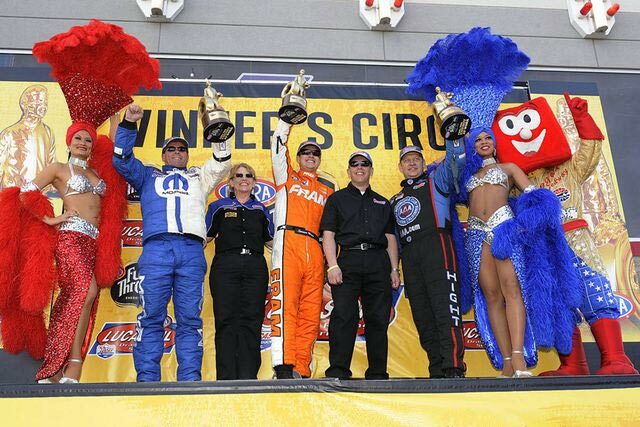 Occasionally, you will notice a showguy! 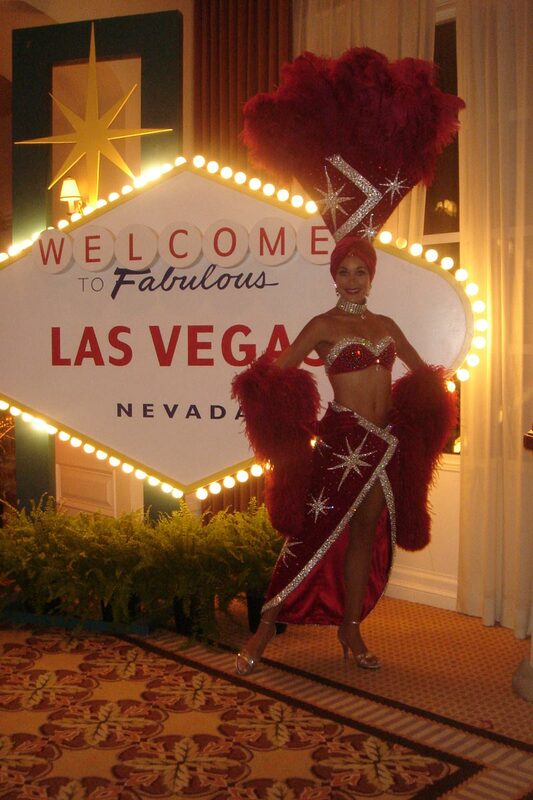 We book them too! 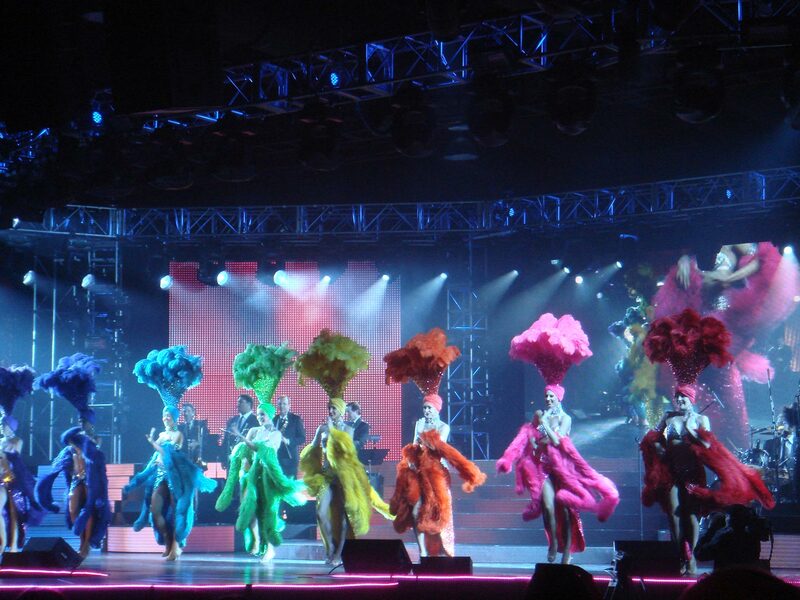 We have invested significant resources into our costuming and this leads to a high quality product and look for your audience. 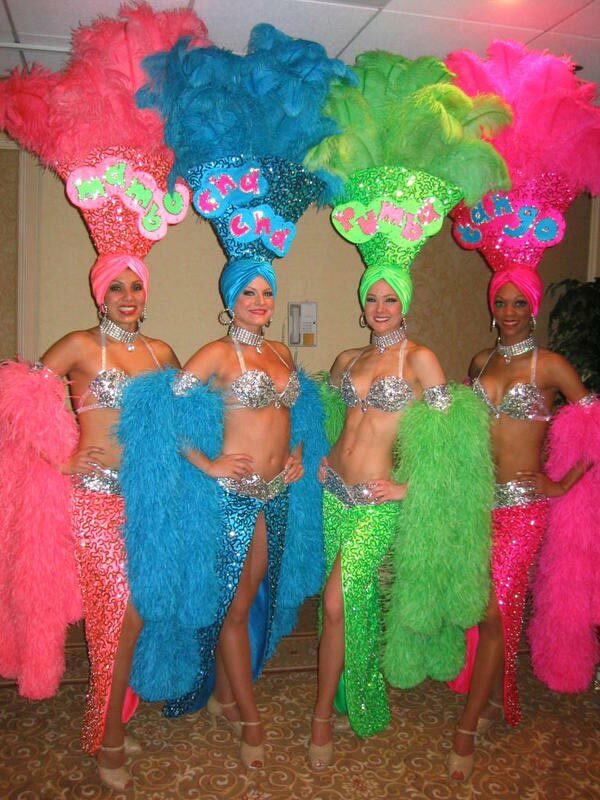 These costumes are the real deal. 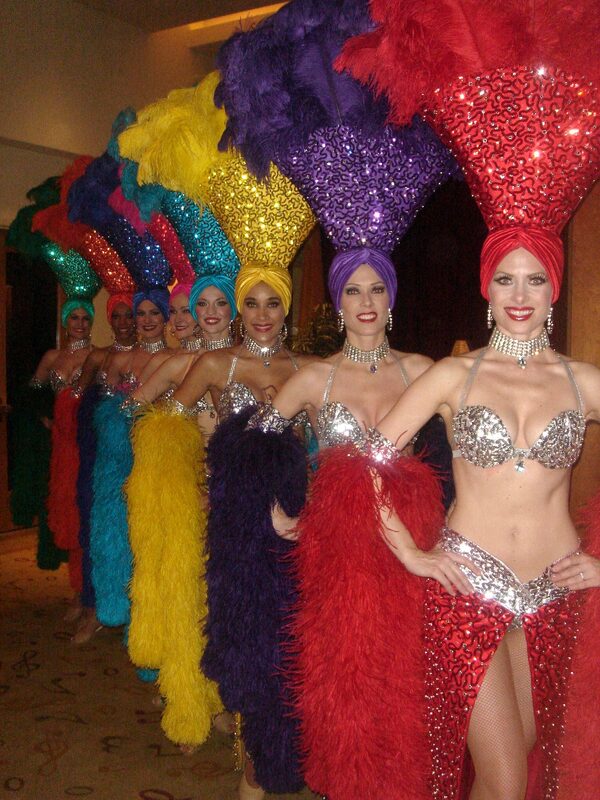 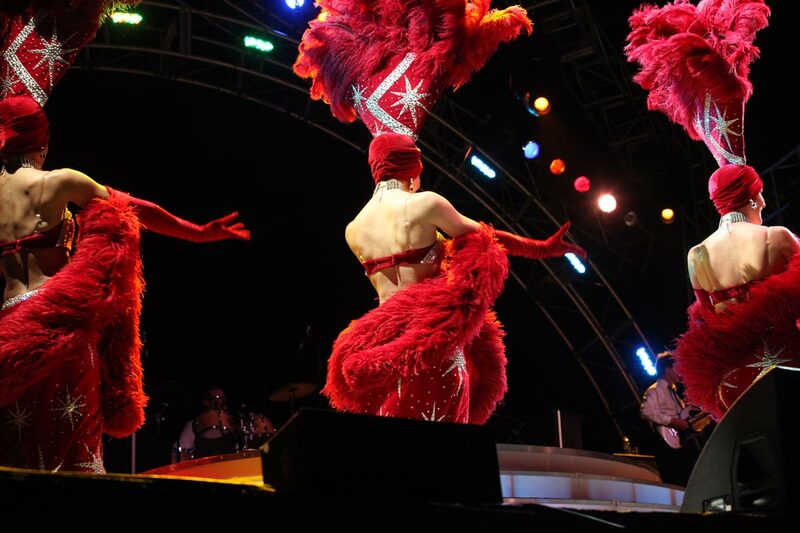 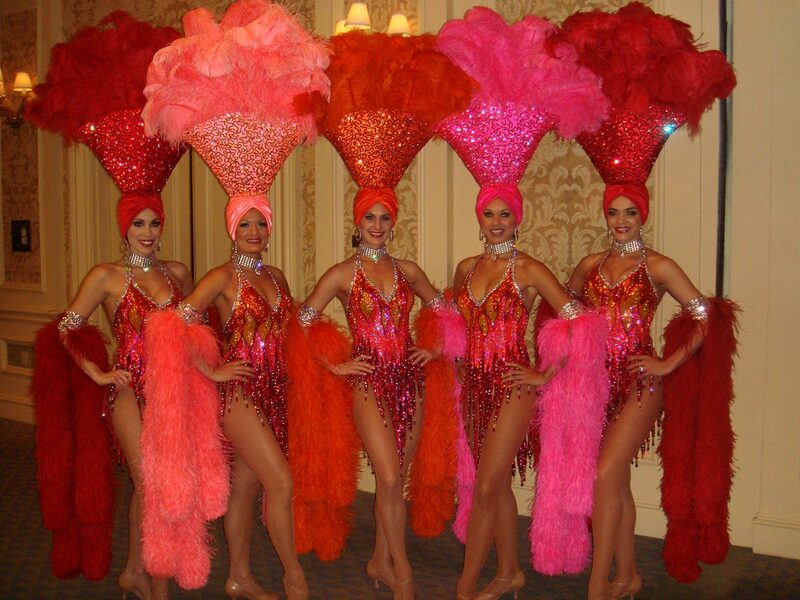 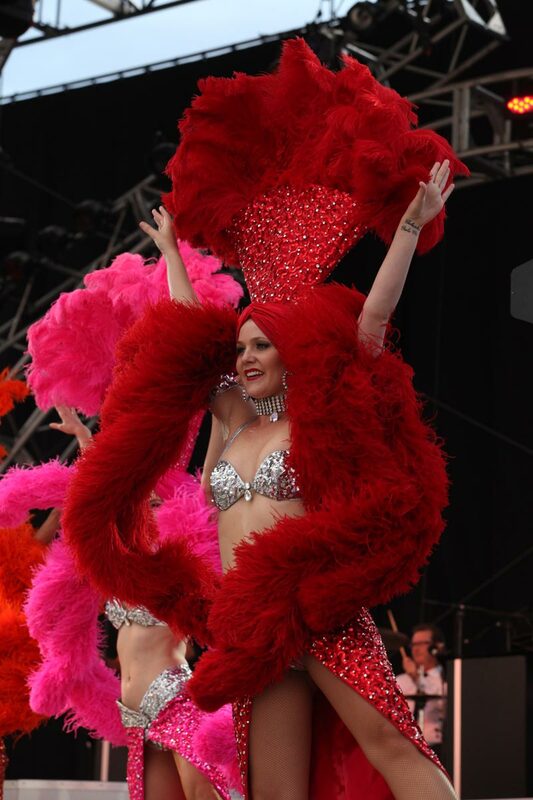 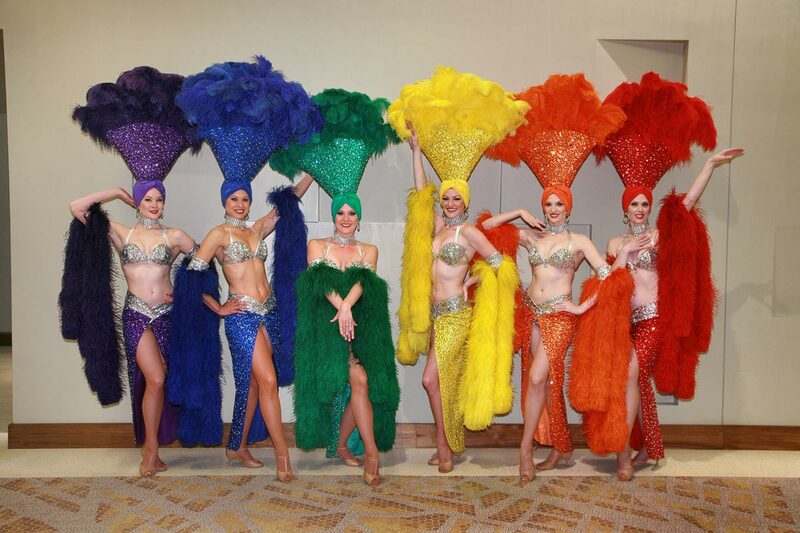 No fewer than 8 artisans have participated in designing and building our showgirl costumes. 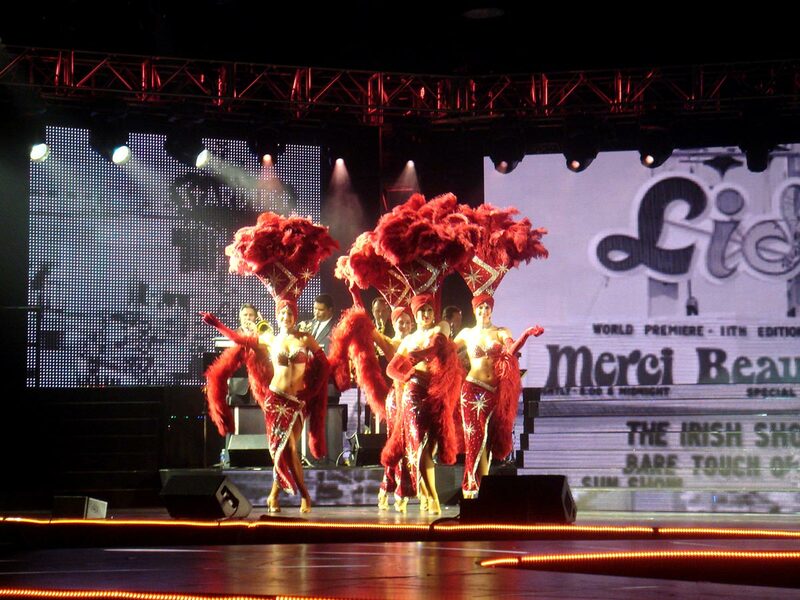 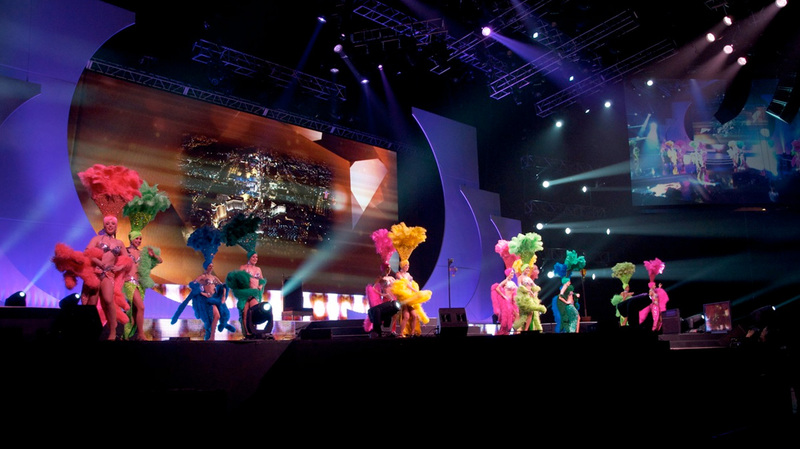 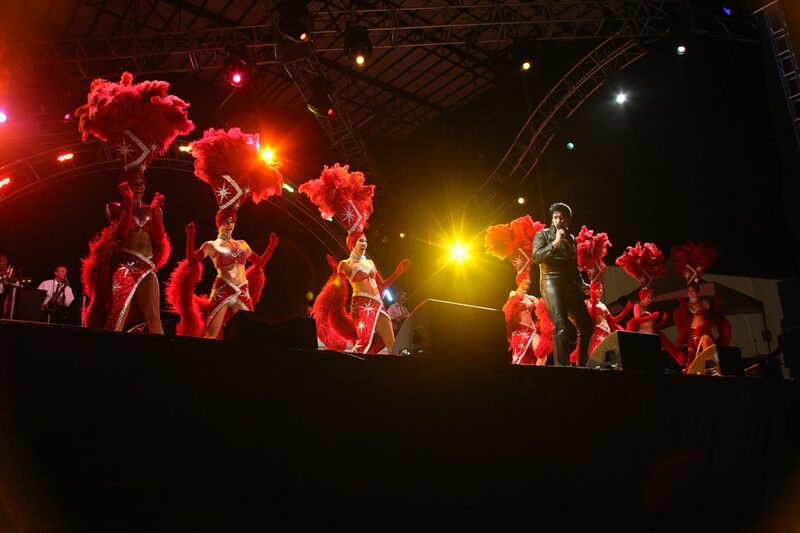 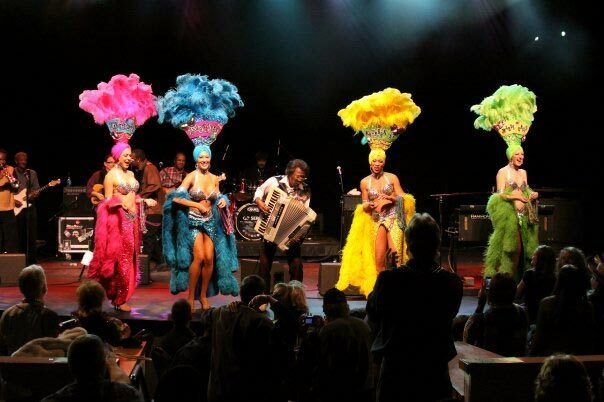 We keep them in reserve for our clients’ special events and shows. 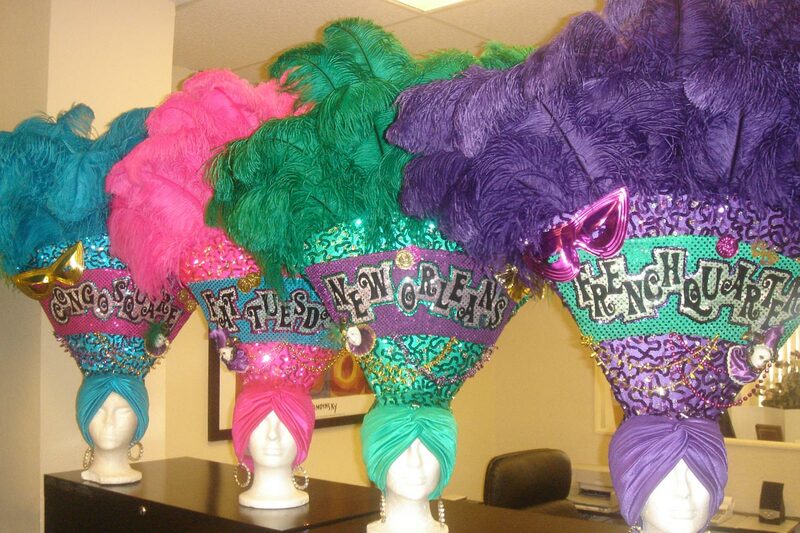 We have many colors available and can often coordinate with holiday/seasonal and brand/logo colors. 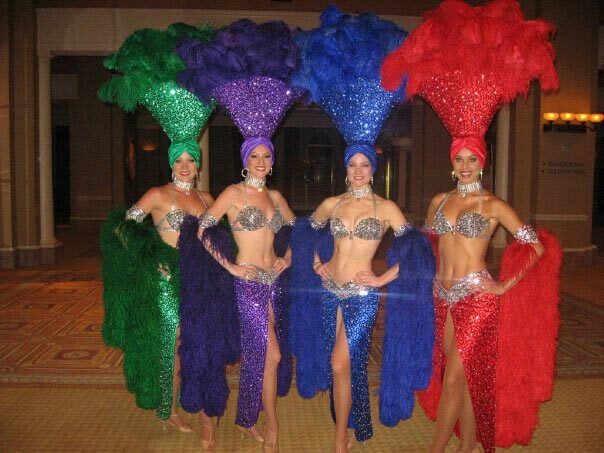 We have even built custom logos for the headpieces, essentially branding them to your company for your special event.